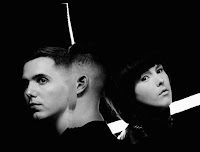 Canadian electronic duo Purity Ring just released their sophomore full-length album Another Eternity earlier this year, and they have just announced a new round of North American tour dates this fall that will bring them to the Triangle. Purity Ring will play The Ritz in Raleigh on Wednesday, September 16. Tickets will go on sale at 10 a.m. on Friday, June 26, via Live Nation for $22. Pre-sales started at 10 a.m. today, June 23. A Cat's Cradle pre-sale (they're co-presenting thew show) will begin at 10 a.m. on Thursday, June 25. Check out the music video for the song "bodyache" from Another Eternity below.